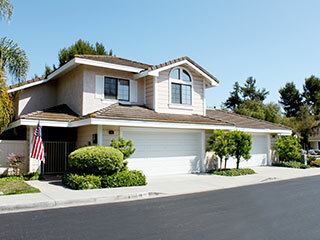 Home Our Garage Door Services Garage Door Openers How Safe Are the Safety Features? The safety features are essential parts of your electric garage door opener system. Openers without safety features have no place on the market and certainly no place at your home. The photo eyes, which will see your daughter crawling under the door and activate the reverse mechanism, are of the essence. So is the emergency release rope! What will happen if you would have no way to open the door manually? If your mind goes straight to the backup battery you recently installed, remember that the release cord is not useful solely when the power is out. Let's say that your cat is standing under the descending overhead door but the reverse system doesn't work. Wouldn't you want to have the chance to save her from entrapment by opening the door manually? Even if it's not your cat or child under the door but your car or scarf, why should they be destroyed? You would probably think: why shouldn't the reverse system work? Well, this would depend on you. When was the last time you maintained it? When was the last time you checked that the sensors are aligned? The opener safety features do provide safety. It’s not accidental that they are a must by law. All electric operators should comply with UL 325 and in order for openers to be certified, they must have both sensors and release cords. Extra safety tips are given just in case something unexpected goes wrong with the garage system, but the integrated opener safety features must work alright. If they are often checked and their problems are handled immediately, they will provide the safety expected from your electric door opener system. So, next time you place blame on the safety features for your unsafe garage door, think of when was the last time you took proper care of them.